The Olympic Park is home to several tenants who together form a community that contributes to making it one of the most used Olympic venues in the world, a lively urban park. 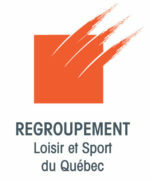 Regroupement Loisir et Sport du Québec and his Centre québécois de services aux associations is a private non-governmental organization offering a range of services as well as programs designed to help members achieve their goals. All the business solutions are given under one roof to our members: liability insurance for non-profit organizations, financial management and accounting, legal services, payroll, HR, Health Benefit programs, graphic design, offset and digital printing, information technology, telephony, group purchases, travel agency and car rental. The offices in the Olympic Stadium are the headquarters of 125 provincial recreational and sports federations. 500 non-profit organizations based all over the province of Quebec are also members of the RLSQ/CQSA . STADIUM PhysiOsteo Clinic offers services in physiotherapy, osteopathy, sports medicine and integrative rehabilitation. Proud partner of your health and performances, their goal is to achieve excellence in their field. Their professionals are encouraged to engage in continuing education activities that allow them to offer best practices treatments in sports medicine. Active population, elite athletes, infants, children, adolescents and adults of all ages can benefit from their international expertise. Specialized clinics are available; consult the web site for more information: www.stadiumpo.com. Olympic Park and Saint-Lambert. As part of the Olympic Park’s revival plan, Café In Vivo was launched on April 22nd 2013 in the former Montreal Expos store. Located just around the Pie-IX metro station, In Vivo is an independent coffee shop that offers a fresh and delightful inspired menu with high quality fair trade coffee. This oasis of light, overlooked by the Stadium Tower, is a welcoming place, warm and suitable, for slowing down and treating yourself. The owner Chef Karine Martel and her team manages this café-terrace. The Institut national du sport du Québec acts as a key performance partner for high-performance sports in Quebec and Canada. With its network of 8 regional multi-sport training centres, 17 single-sport training centres and its Complex at Olympic Park, which is home to 9 resident sports, INS Québec offers sports medicine, sports science and personal development services to athletes on Canadian national teams, next-generation athletes, high-performance coaches and sports federations. INS Québec serves more than 500 high-performance athletes, 2,000 next-generation athletes and the nearly 900 coaches who train them. By educating people, starting with members, officers and employees, about democracy, economics, solidarity, and individual and collective responsibility. To leverage their position as Canada’s leading cooperative financial group to inspire confidence around the world through the commitment of our people, our financial strength and our contribution to sustainable prosperity. The SoSc implement an educational and sports project like no other. It is based on learning to enjoy playing soccer and favours the child’s physical development. Furthermore, the evolution of each SoSc participant as an athlete and as a person complements the initial training at their amateur club in Quebec.